It's not often that a 15-year-old junior tennis player could teach his elders about giving back to the sport. But most 15-year-olds aren't like Chandler, Arizona's Josh Xu. Xu (pictured - right) has been a steady hand on the court the last few years, winning big titles like the Phoenix Junior Masters as well as fans with his calm, on-court demeanor and solid game centered around his big serve and forehand. Xu is currently the No.1 ranked junior in Boys' 16s in the Southwest, and a top 100 ranked junior nationally in that age division. He recently reached the Round of 16 at the USTA Boys' 16s Clay Court Championships in July, and played on the Boys' 16s Zonals team for USTA Southwest this summer. Before aging up to the 16s this year, Xu had reached as high as No. 6 in the nation in Boys' 14s, and was the No. 1 14-and-under in the Southwest. Xu's ascent up the rankings is just a small part of his story, though. Xu recently started up a Junior Tennis Ambassadors program, modeled after the late Vic Braden's idea that kids already playing tennis should help other kids play tennis. 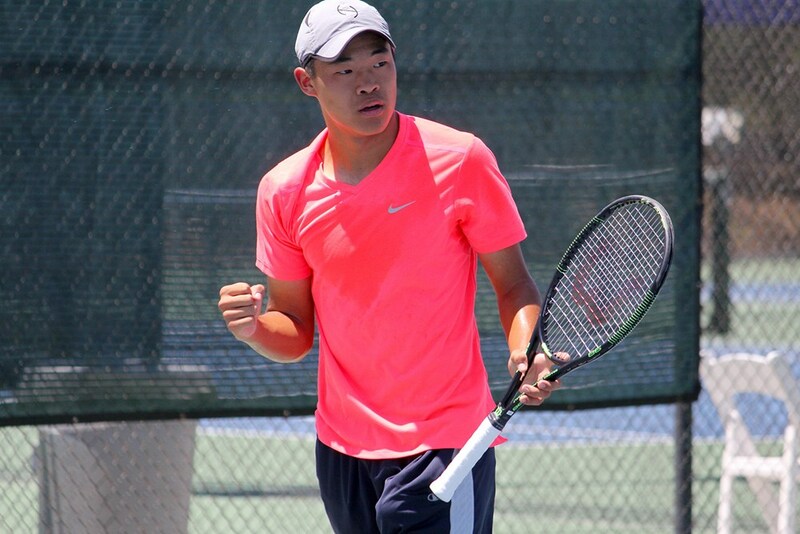 The cool part of JTA is that the barely-teenaged Xu and a group of his tennis friends - Hussein and Hassan Elalami, Frederick Wentling, and Vedik Navale - have all really taken to the program and gotten a lot of out it since forming the program in the spring. In short, these Southwest juniors - themselves barely into their teens - have created a non-profit instructional program for brand new young players out of Campo Verde High School in Gilbert, Ariz. The experience gained has been an invaluable one for Xu and his buddies. Each of them are learning how to be better, more patient instructors, but are also learning the importance of planning and marketing their program, communicating to parents, working with their host facility, obtaining equipment, as well as managing their own busy young schedules. That's a challenge of course as young competitive tennis players, they often have to fill in for each other as instructors on their respective playing weeks when they have big tournaments. 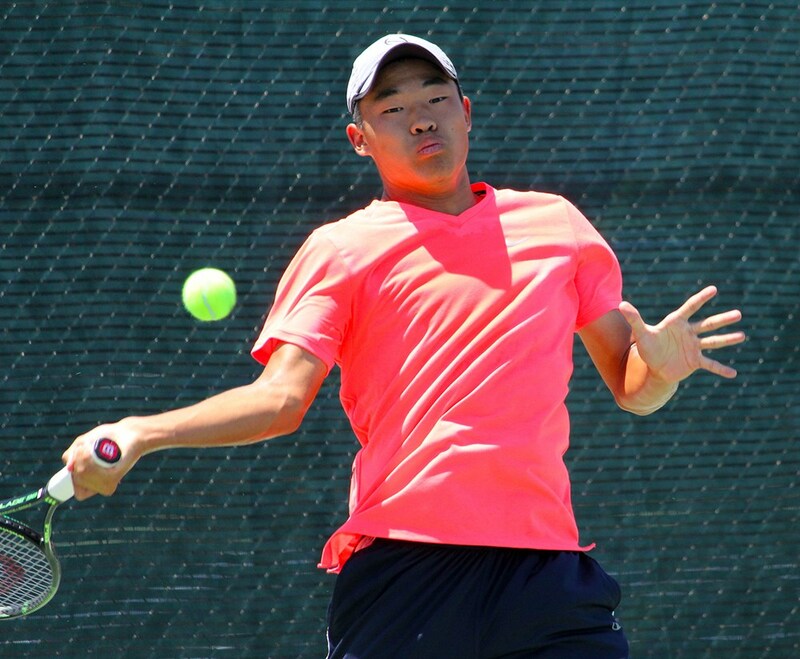 It's been more than just an after-school program to list on Xu and his buddies' applications for college, and the JTA program has been something USTA Southwest and the USTA Central Arizona district have been proud to sponsor. We're hoping it will encourage more juniors to realize the important role they have in teaching an even inspiring young players, who see them as big stars and players to emulate and look up to. We recently caught up with Xu to talk to him about his game, some of his best experiences as a junior tennis player, and, of course the JTA program for this month's All About Tennis Junior Profile. USTA Southwest: First off, what age did you get started in the game of tennis? What really inspired you to stick with the sport? JX: I started tennis at the age of 6. I was initially inspired by the champions of tennis today. Watching them play gives me the motivation and inspiration to keep playing, through good and bad times. And of course, as we all know, the joy of playing tennis is one like no other. 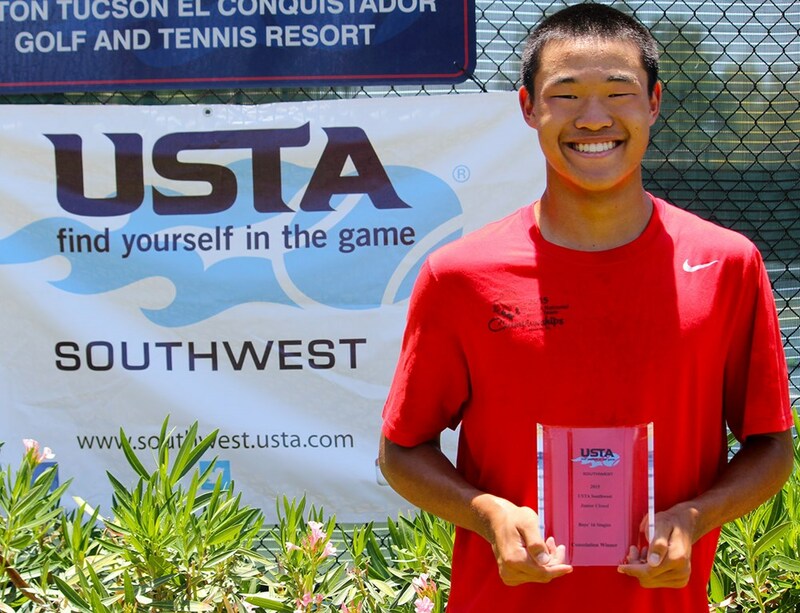 USTA Southwest: You've kind of risen up the junior ranks the last couple of years, captured our Boys' 14s title last year at the Closed, the finals of Boys' 16s this year. What do you attribute that success to? JX: I attribute my success to those who've supported me. My family, coaches, and friends are the reason where I am where I am now, and they are the reason why I continue to move up the ranks. Through highs and lows, my parents especially are constantly there to help me stay on the right track. They gave me all the tools I need to be successful. I would like to take the opportunity to express my sincere appreciation to my coaches at Eurotennis Academy (Jeremy Coll, Casey Waz, and Vera Leontieva) for all the hard work and time they’ve put into me the past 3 years, helping me on and off the court to get better. Thanks so much! 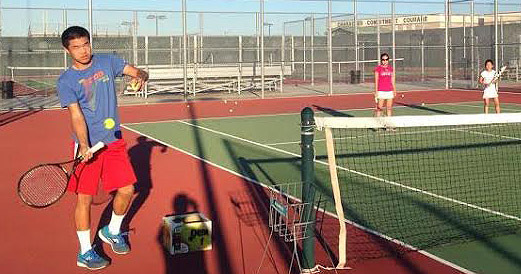 USTA Southwest: So tell us a little more about this off-court project of yours helping kids. We think it's really cool, since you're still a kid yourself, and it's a great example of how youth can really pitch in and help grow this sport. How did that all come about and what inspired you to start it up? Give us some details! JX: The program is called Junior Tennis Ambassadors, where older kids teach younger kids tennis and together develop a stronger passion for tennis. I was fortunate to be given the opportunity to play tennis from my parents, and it seems only right to give anyone who wants to try tennis out a chance. I love playing tennis, and I love teaching tennis even more! USTA Southwest: You have your fellow tennis friends working with you, right? Does that make it easier and more fun to do it together? JX: Yes, working with my friends makes the job infinitely easier and much more enjoyable. People like Hussein and Hassan Elalami, Frederick Wentling, and most recently Vedik Navale also allows the kids to receive coaching from multiple views and perspectives, and not just hear it from me. It also makes scheduling easier, as there are weekends where one or two of the coaches can’t make it because of tournaments. Without them, this program wouldn’t be successful the way it is. USTA Southwest: You've solicited donations from what types of groups to help with the project? JX: Our biggest benefactor is you! The USTA Southwest and USTA Central Arizona district, providing not only materials to run the program, but also advice and guidance. THANK YOU GUYS SO MUCH FOR ALL YOUR HELP AND SUPPORT!! We’ve also received smaller donations from some of the student’s parents. More donations are always welcome to help cover costs of new equipment and training costs! 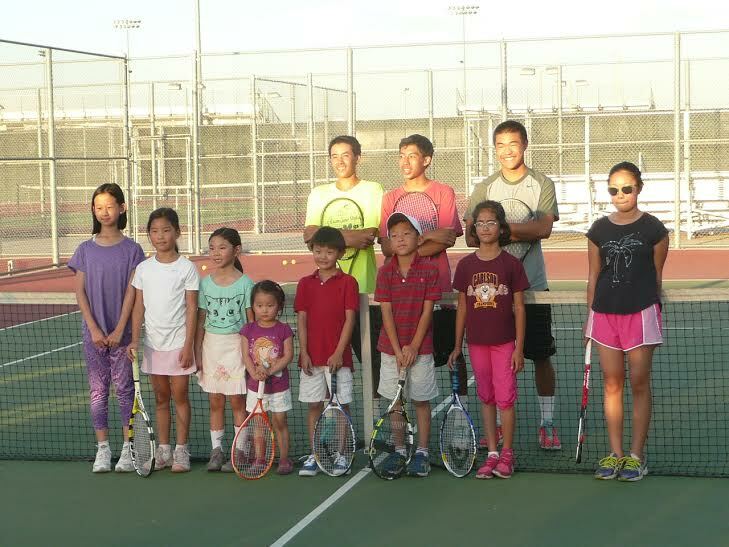 USTA Southwest: How are the kids liking their lessons so far in you guys' classes? Are you enjoying being a tennis instructor? JX: I think a majority of kids enjoy the sport as much as I do now. Every session they are truly passionate for the sport and love to learn! I think all the coaches really enjoy teaching and helping the kids learn how tennis works and how to play it. Personally, very few things compare when it comes to the happiness of watching a kid smile because they love the sport so much! USTA Southwest: What's the ultimate goal of the program for you? 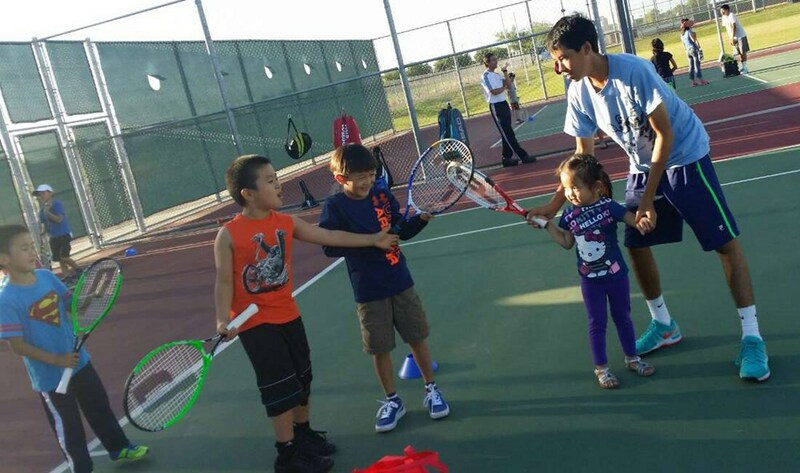 JX: My ultimate goal of the program is to have it develop into a full blown organization, with multiple sessions going on each week, helping kids throughout the Southwest section learn tennis. I want to make sure that when I leave for college the program continues to run. While those days are a long ways off, we work towards it every single day! USTA Southwest: What's been your best junior tennis experience so far? JX: My best junior tennis experience, aside from starting and running this program, was winning the Southwest Closed in the 14s two years back. A year before winning it, I had a tough loss in the quarterfinals and was pretty upset and disappointed. I trained even harder to try and win it the following year and I did. To come back the next year and win it, both singles and doubles, was definitely my best junior tennis experience thus far. It proved that my hard work paid off. USTA Southwest: What are your ultimate goals in the sport of tennis? JX: My ultimate goals in tennis is to play college for a top Division 1 school, especially Stanford or maybe Duke. After that, I want to make sure tennis remains a big part of my life, even if it is only recreational. I might even try to go pro after attending college, but that’s a long ways off and right now I’m satisfied with enjoying the sport and working harder every day to reach my full potential.